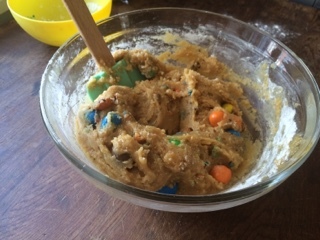 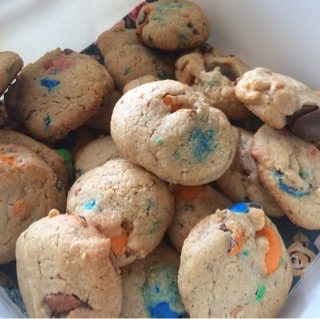 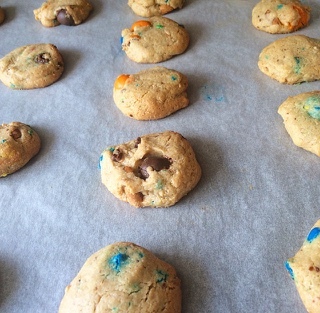 Peanut butter M&M cookies with homemade peanut butter. 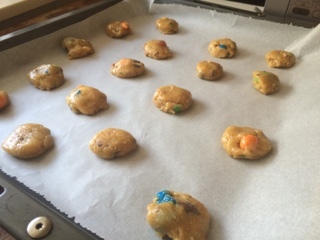 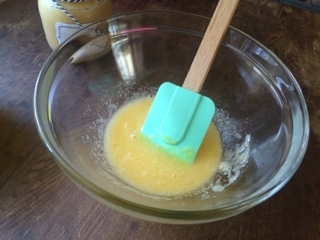 Roll dough into balls, put on baking sheet and flatten lightly with your hands. 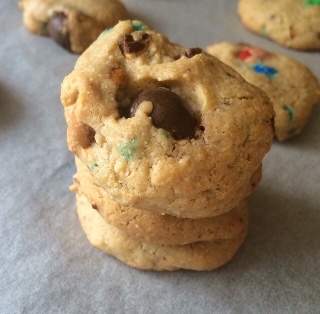 Place in preheated oven and bake for about 10 minutes, until golden.